At various times in the Old Testament, God’s people set up a simple altar of remembrance at a place where God did an especially powerful miracle, at a place where God dramatically rescued His people, at a place where God taught them an important lesson. 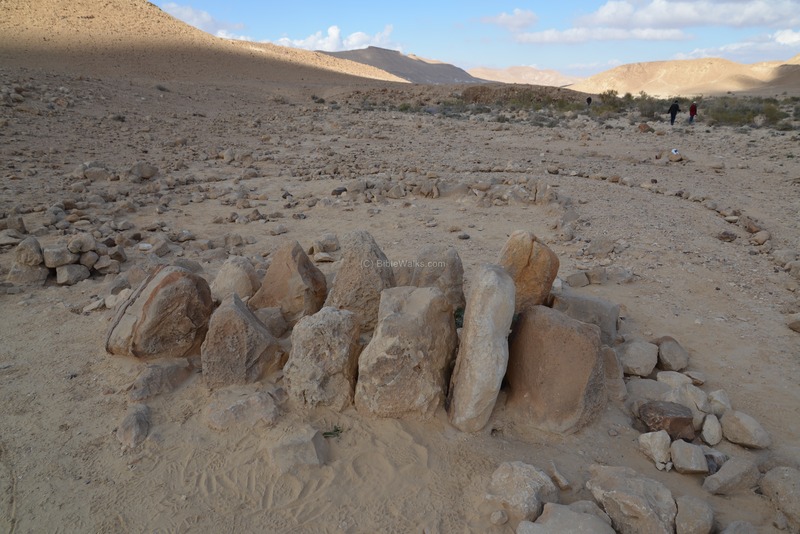 These altars of remembrance–constructed of simple, local stones–would serve to remind future generations of God’s past faithfulness in order to give them strength to continue trusting the LORD in their present trials. So Why Should WE Build Altars of Remembrance? A. Because the present can be foggy. Hindsight is often 20/20, and when we can’t see/feel God in our present circumstances it is a HUGE boost to our faith to be able to see Him in our past circumstances. B. Because the present can be confusing. Satan tricked Eve (and Adam!) by asking a leading question in Genesis 3:1: “Did God REALLY say…?” Even answered the serpent with an incorrect memory/understanding of what God really did tell her–Eve said that God said not even to TOUCH the tree (Genesis 3:3). God never said THAT! He only said not to eat from the tree of the knowledge of good and evil (though let the record show that God did allow Adam & Eve to eat from ANY OTHER TREE in the vast Garden of Eden). Adam & Eve didn’t remember what God said to them, didn’t remember what God did for them in warning them about the one tree and in generously providing for them with the other trees! What devastating consequences their lack of remembrance has had on all humans and creatures ever since. Building altars of remembrance for what God has done for us and taught us in the past will help us in our present to make wise choices. C. Because it’s a GREAT way to tell others about Jesus. Some people don’t CARE what the Bible says about a topic or an issue or don’t care about what God did in the Bible, but some of those same people DO CARE about what you have experienced, about what God has done in your specific and unique life. While some won’t listen if we ask them, “May I tell you what the Bible says about suffering?”, it often disarms people when we ask them, “May I share with you what God has been teaching me lately as I have suffered? May I share with you a time in my life when God carried me through a terrible storm?” In some ways, it’s easy to argue with the Bible but it isn’t so easy to argue with/refute another person’s experience. They might not believe the food exists, but many are interested in hearing how God tastes to us. (Now I am NOT saying that our experiences are more important than the Bible–NOT AT ALL! It’s just that some people don’t want to hear about the Bible but they are often willing to hear about us. And God can use our experiences to teach them truth that IS in the Bible, which can help them down the road consider picking up a Bible and learning directly from it). -When God protected me from MANY foolish and reckless decisions during my teenage years before I even believed in Him! -When God carried me and my wife through the difficult early months after one of our daughter’s diagnosis of epilepsy. Through the diagnosis, the LORD helped us to obey Him in the midst of our questions/fears, to worship Him in the midst of emotional pain, and to trust Him to bring good out of our trials. What are some of the altars of remembrance of God’s faithfulness in your life? Will you take time to write down today the ways that God feels close to prepare for a time in the future when God feels far? Will you take time to write down today the ways that God has carried you in the past (or is carrying you NOW!) to encourage yourself and others in the future if it ever feels like God has abandoned you? Will you humbly and gently share these altars of remembrance with others as a testimony (eyewitness description) of what God has done in your life? Thank you for your thought-provoking blog! I am preparing to lead our Bible Study on Wednesday with the theme of “12 Stones”, and topic of altars. Your blog came up in a search for more on “altars of remembrance”. I have shared on facebook with my flock and hope your words and the Word of God spur us to a meaningful discussion on Wednesday night! Blessings. I am studying/about to teach about altars,and your blog spurred my heart to write down what God has done in my life and to give it to my children. May God continue to bless you. Can i have permission to use the picture of the rock alter for a sermon?